It is the noun. 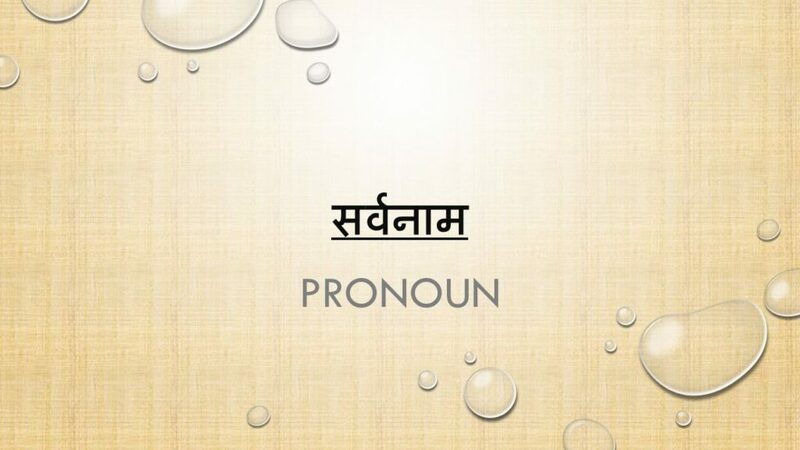 Nouns and noun phrases that generally, it, like it and it can be replaced by pronouns There are Six types of Sarvanam / Pronoun Purushvachak, Nijvachak, Nishchayvachak, Anishchayvachak, Prashanvachak, Personal Pronoun Sambandhvachak. Its meaning & examples described below I, you, you (myself included), this, that, that, no, some, who, what And pronouns is very important Hindi-Grammar and This topic related Questions are asking in all exams just like RAS, IAS, UPSC, RPSC, 1st, 2nd, 3rd Grade Teacher, REET CTET, LDC, CBSC Board RBSC Board and UPSC, RPSC Exams.